Home » Advertisement , Classified » It’s party time – are you worried? It’s party time – are you worried? I love partying as partying brings lot of people to my house and people bring laughter, giggles and happiness. One get to know so many people one hasn't known before and sometimes with such people one develops lifelong friendship. 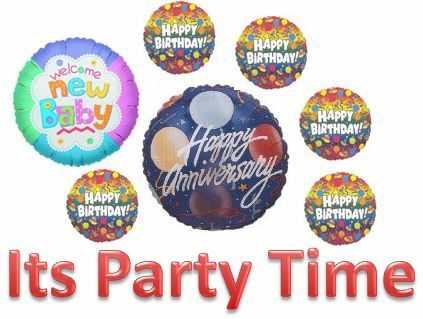 So one should frequently arrange parties at one’s place – be it be a children’s birthday, one’s wedding anniversary or a occasion to celebrate a promotion or pay raise. Depending upon the pocket and the size of friends, the party size also expands or shrinks. But wait - Do you have any idea how worrisome could be arranging parties at one’s place? Well as for me, I know how much hassle goes in to arranging a party. But worrying is for the ordinary. The smart guys, like me, do not run around the market buying balloons and buntings or other things needed for decoration, even catering. These days there are people out there who can help and assist you in decorating your house with balloons if it happens to be your first kid’s first birthday. Not only that, the table decorations, which some get cold feet to do, can be managed by professionals with all the stuff you need on the table of centre of attraction. For fairly sizable parties, I more often than not leave the table decorations and gift packing to people who are good at it. And as for balloons, I don’t want to blow out myself so much that when it is party time, I am all but exhausted. Wouldn’t you want to leave your parting worries to others o handle? I am sure now you surely would. Happy partying from now on!! !